09-26-1969: in "The Honeymoon" (pilot), When a widower with three sons marries a widow with three daughters the result of the merger is a conglomerate family. The wedding day festivities progress smoothly except for the family pets, a cat and a dog, which don't go along with the idea of peaceful coexistence. After the chaos they cause, Mike and Carol start their marriage disciplining their children before leaving on their honeymoon. 10-03-1969: in "Dear Libby", The six kids believe they're breaking up their parents' new marriage. Marcia reads an item in an advice column about a family exactly like theirs in which one of the parents is extremely unhappy. The kids are sure it was written by one of their parents. 10-10-1969: in "Eenie, Meenie, Mommy, Daddy", Cindy's appearance in a school play causes a family crisis. Cindy has only one ticket for her parents' use and doesn't know whether to ask her old mother or her new father. 10-17-1969: in "Alice Doesn't Live Here Anymore", Alice decides the Bradys no longer need her and prepares to leave. The housekeeper has been sending the boys to Carol, their new stepmother, with their problems to make her feel more important. But soon no one in the family is coming to Alice for help. 10-24-1969: in "Katchoo", Jan develops an allergy, possibly to one of the Bradys. Carol keeps daughter Jan from school, believing she has a cold. But when the sneezing continues, it is believed that Jan is allergic to her new father or Tiger, the dog. 10-31-1969: in "A Clubhouse Is Not a Home", Mike and Carol are having difficulty getting their two families adjusted to living in one house. Carol's three daughters decide to move out of the Brady house and into the boys' clubhouse. When Greg, Peter and Bobby turn them down, the girls picket. 11-07-1969: in "Kitty Karry-All Is Missing", Cindy's favorite doll is missing and the family thinks that Bobby has hidden it from her. Bobby angrily tells Cindy he hopes her doll gets lost. When the doll turns up missing, Cindy points the finger of suspicion at Bobby. 11-14-1969: in "A-Camping We Will Go", Mike and Carol plan a camping trip for all the Bradys. Carol and her girls have never been on a camping trip before and the boys don't want them along. Mike pushes for a 'togetherness' trip even to including the girls in the fishing. 11-21-1969: in "Sorry, Right Number", Mike Brady tries to cure the phone problem in his home by installing a pay phone. After installing a second phone in the house, Mike isn't able to use one of them. Alice suggests that the family move in the pay phone to solve the problem. 12-05-1969: in "Every Boy Does It Once", Bobby Brady is convinced that nobody loves him and decides to run away. Already tired of hand-me-downs and believing that his stepmother hates him, the 7-year-old starts packing when his brothers and stepsisters don't include him in their plans and leave him at home alone. 12-12-1969: in "Vote for Brady", Both Greg and Marcia are running for student body president. The election campaign carries over into the Brady house with the other kids taking sides. Mike, Carol and Alice finally pitch in to prevent open warfare. 12-19-1969: in "The Voice of Christmas", Carol loses her voice from too much choir practice and may not be able to sing at the Christmas services. Alice tries an old remedy for laryngitis on Carol while Cindy asks the department store Santa to make her well. Mike gets upset when Santa agrees. 12-26-1969: in "Is There a Doctor in the House? 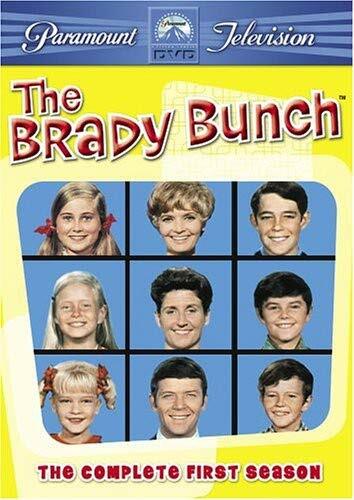 ", The Bradys face a medical crisis when the kids come down with the measles. Peter is the first to break out, then Jan. Carol and Mike each call their own family doctor. Carol's is a woman and Mike's is a man. 01-02-1970: in "Father of the Year", Marcia's attempt to keep secret the fact that she's entering her stepfather in a "Father of the Year" contest causes her discipline problems at home. After Mike shows her how important she is to him, Marcia enters him in a newspaper contest. But as she tries to hide what she's doing, she gets herself grounded for a week. 01-09-1970: in "54-40 and Fight", The Brady boys and girls fight over what to get with their trading stamps. The trading stamp company is going out of business and the boys have 54 books of stamps and the girls have 40. They realize that only by combining books will they have enough to get one good item, but each group wants a different thing. 01-16-1970: in "Mike's Horror-Scope", Abbe Lane guest stars as Beebe Gallini. Carol reads Mike's horoscope about a strange woman who will come into his life. Then Beebe, the glamorous head of a cosmetics firm, hires Mike to design a new factory. 01-23-1970: in "The Undergraduate", Dodger first baseman Wes Parker makes his acting debut and Gigi Perreau guest stars. Greg appears to be sick but Alice discovers a love note he wrote to a mysterious "Linda." Mike and Carol attempt to resolve the problem by trying to find out who Linda is. 01-30-1970: in "Tiger! Tiger! ", The Bradys are upset when their dog runs away. When Bobby goes out to feed Tiger, he can't find the dog. They all chip in for a reward and to buy an ad in the paper, but Bobby fears the worst -- that Tiger has been run over. 02-06-1970: in "The Big Sprain", The Brady home is in chaos when Carol leaves to care for an ailing aunt and Alice sprains her ankle. Mike divides the household chores among the kids although the girls can't cook and the boys don't know how to clean. 02-13-1970: in "Brace Yourself", Marcia's world is destroyed when braces are put on her teeth. Marcia thinks she looks ugly in them in spite of the family's assurances. Then, when the boy who was to take her to a dance drops by to tell her he can't go, she is convinced. 02-20-1970: in "The Hero", Peter gets a swelled head when he saves a girl's life. The Bradys are surprised when Peter comes home with torn clothes and explains that he rescued a girl from an accident. They find that easier to accept than his attitude when his friends make a fuss over the incident. 02-27-1970: in "The Possible Dream", Marcia's diary, in which she has confided her deep feelings for Desi Arnaz Jr., is accidentally given away by her sister Cindy. Marcia starts a campaign to exclude her younger sister from her life when she finds out what happened, and Mike and Carol begin searching the town's used book stores. 03-06-1970: in "To Move or Not to Move", Little ghosts begin haunting the Brady house when their parents decide to move. The children have been complaining about the house being too small and Mike decides to sell. The kids change their minds, however, and become ghosts to scare away prospective buyers. 03-13-1970: in "The Grass Is Always Greener", Mike and Carol decide to settle an argument about who has the easier job by switching roles. Mike helps Carol's daughters with their cooking project and Carol bones up on baseball. The results are disastrous. 03-20-1970: in "Lost Locket, Found Locket", Jan receives a locket from an unknown admirer and all the Bradys are curious about who sent it. Both Mike and Carol suspect the other sent it and each starts sleuthing to prove it. Suddenly, the locket disappears.